FRAMINGHAM – In April, voters decided to make the Town of Framingham the City of Framingham. Part of that change from a Town to a City means that the present 7-member Framingham School Committee, all elected town-wide, will be elected by district. The new City of Framingham School Committee will have 9 members, each representing two precincts in town. All nine members will be elected in November 2017. They will take office on January 1, 2018. Monday, July 3 was the last day to submit nominations papers to appear on the November 7 ballot. Voters will elect one councilor for each district. As no district has more than two candidates, there will not be a preliminary election for any of the School Committee races on Sept. 26. As write-in candidates will be allowed in November, no one is officially elected to a School Committee seat until November 7. Framingham School Committee Chair Heather Connolly decided not to seek election to the City School Committee. Of the other seven current School Committee members, five of the seven are running for City of Framingham School Committee seats. Not all of the current School Committee members can be elected to the new City of Framingham School Committee. Current members Beverly Hugo and Jim Kelly are vying for the same School Committee District 1 seat, and only one person can be elected. 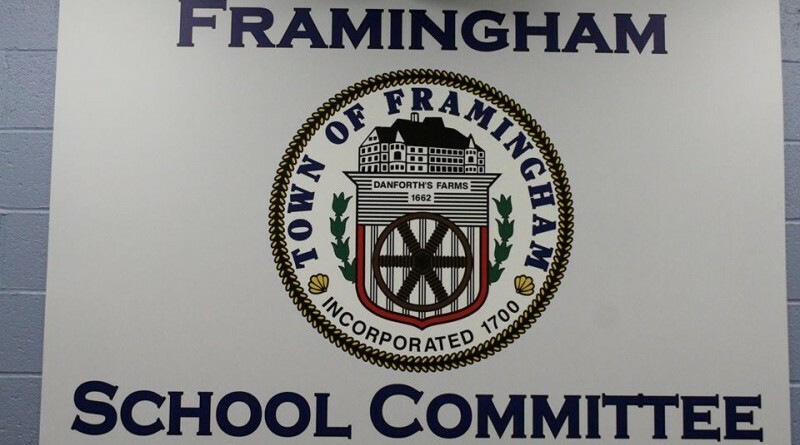 A maximum of four of the current School Committee members could be elected to the new 9-member City of Framingham School Committee, but that would mean that at least 5 new members will be elected, too. Framingham Source invited every candidate to submit an announcement to Framingham Source by July 3 at 11:59 p.m. per the Framingham Source election policy. There are 15 candidates for nine seats. A dozen candidates submitted announcements by the deadline. If the name below is bolded, click on the link to read their announcement. Framingham Source will cover the City of Framingham School Committee election in November 2017, but will not be endorsing any candidates. Click here to read Framingham Source‘s election policy.